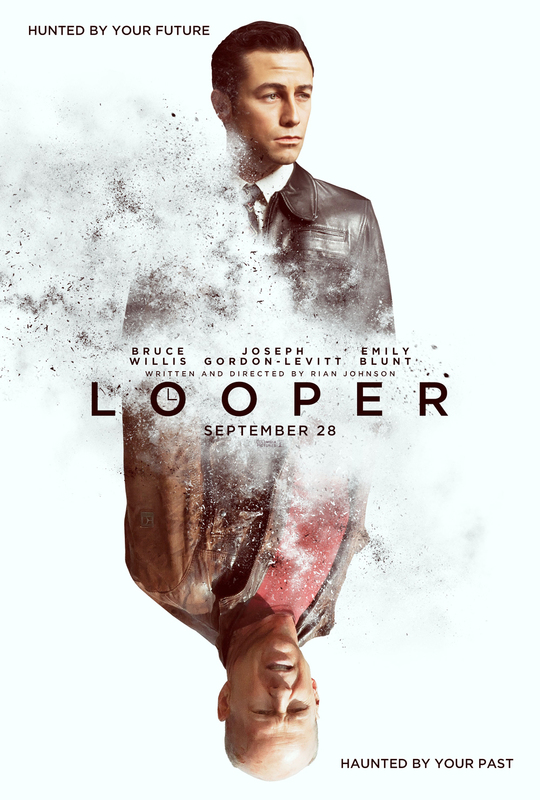 Sony debuted the first poster for Rian Johnson's Looper, which feels like its been in the works for something close to ever but nevertheless has nearly six months remaining before it comes to theaters on Sept. 28. In the meantime, here are its stars doing their best playing-card imitation. Jack of hearts? King of clubs? Enh, forget it. Also: Wouldn't What to Expect When You're Expecting benefit from this kind of more... painterly Photoshop? Just throwing that out there. It will be interesting as to which narrative tool they use to deal with the paradox of one hunting oneself in an earlier timeline. Willis, of course, will be fabulous and engaging. Do they look anything alike?